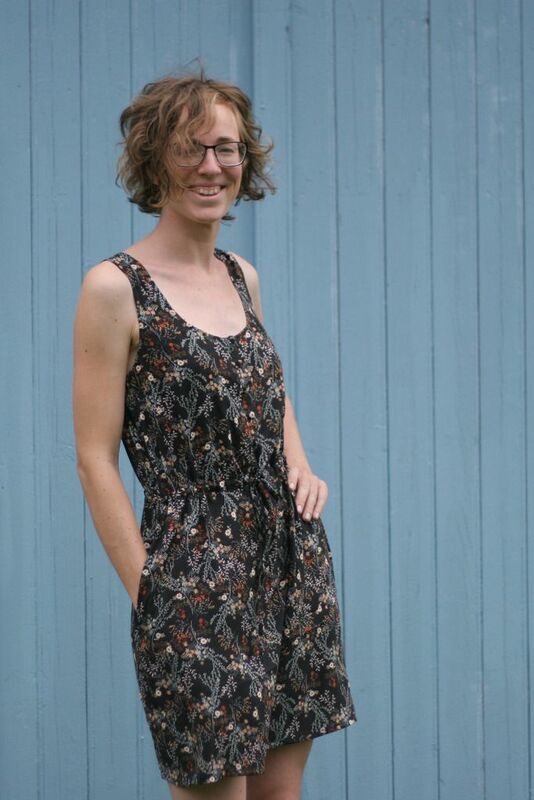 It’s Sewing Indie Month and I am lucky enough to have Lisa of Paprika patterns on my blog today with a really great tutorial for the Southport Dress. 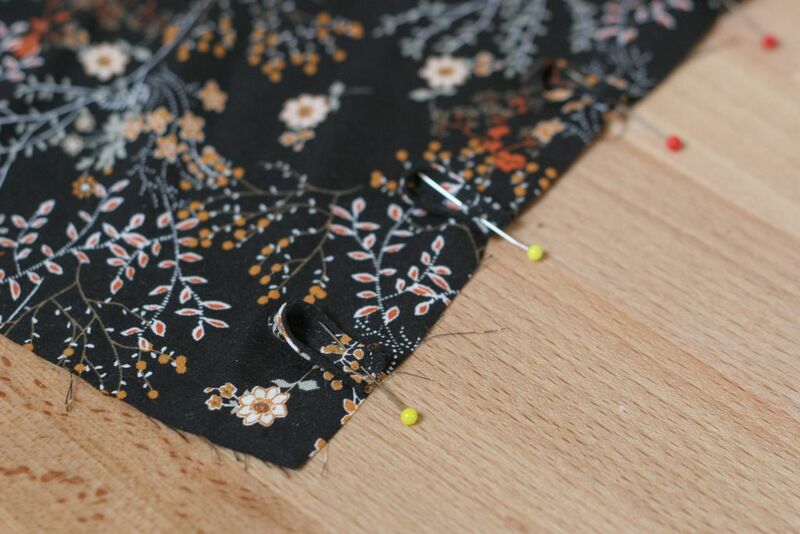 Hands down, the most common question I have gotten for the Southport Dress is whether or not there is a way to get around doing buttonholes. 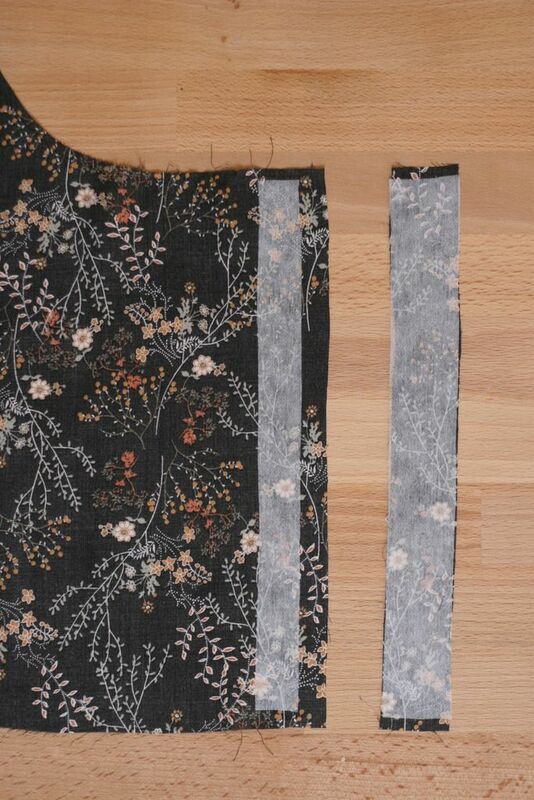 Lisa has come up with a great tutorial for you on how to sew up the Southport Dress without having to sew those pesky buttonholes. Enjoy! Hi! This is Lisa from Paprika Patterns. 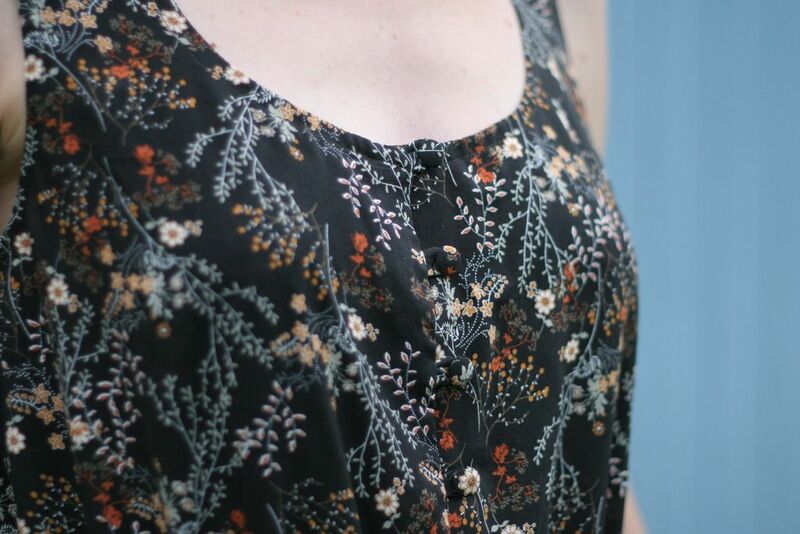 Today’s tutorial is for all those who love the Southport Dress, but are dreading those buttonholes on the front bodice, or just like a different look. 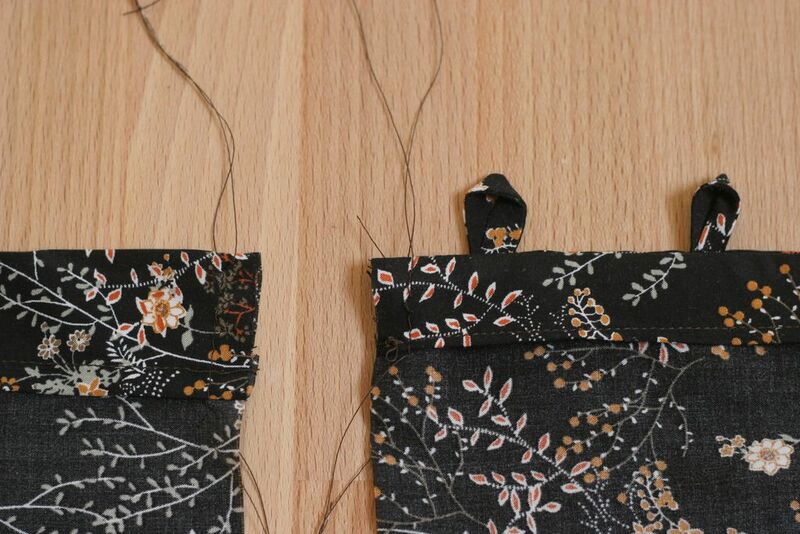 In this post I’ll show you how to make a front close with buttons and loops instead of buttonholes. 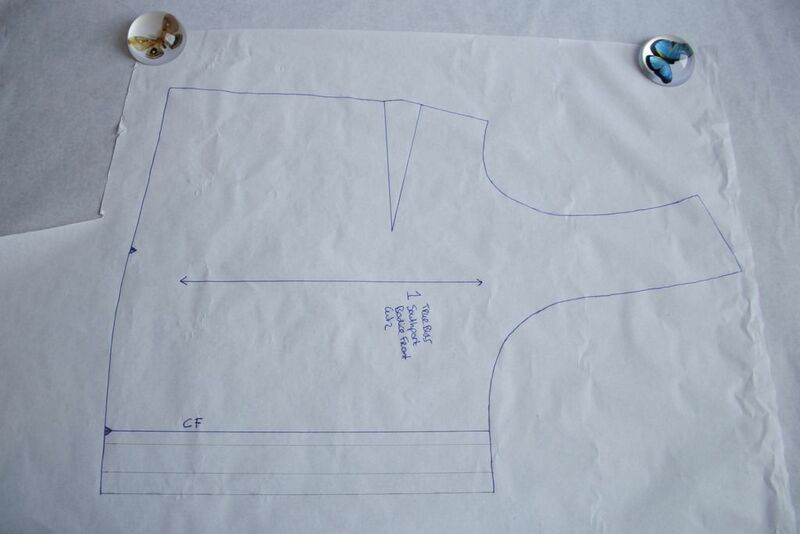 We’ll start with altering the pattern, and then I’ll show you the sewing steps. 1. 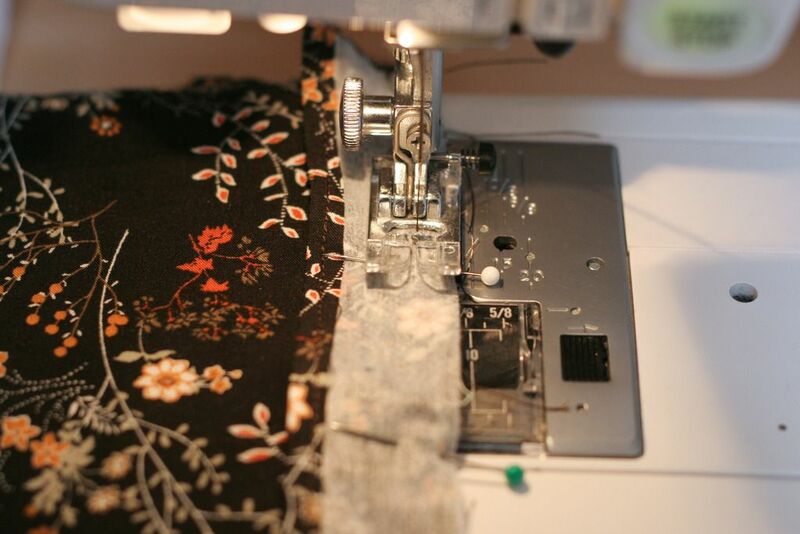 If your have any other alterations for the front, such as lengthening or an FBA, do them before you start altering for the button + loop closure. 3. Decide how many buttons you want. Since a button + loop closure can gape a bit when the buttons are spaced too far apart, I’d add at least one. 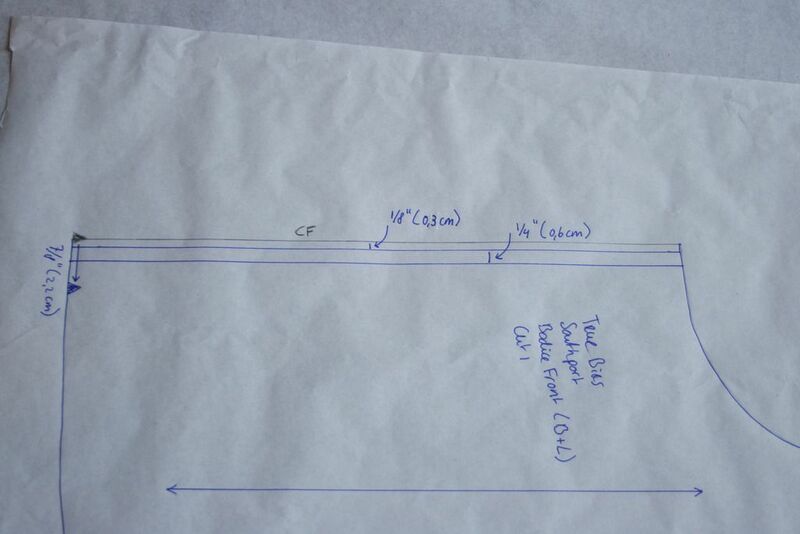 I added two in this example because I also lengthened the bodice 1” (2,5 cm). Keep the button at the top and at the bottom in the same place as the original, and divide the others in between. 5. Draft a facing from the left front piece. 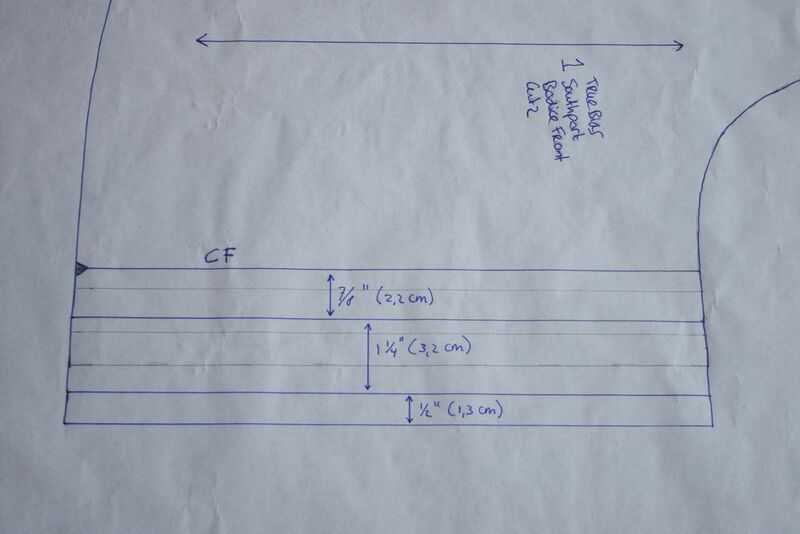 Copy the pattern starting from the 1st line you drafted, 1 1/4” (3,2 cm) in. 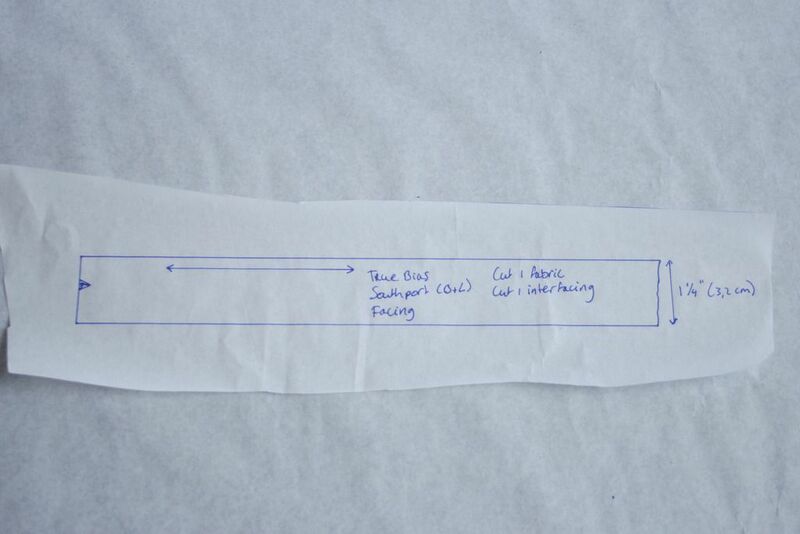 Then mirror the facing: After tracing, flip the paper over and trace the lines through the paper. That’s the right side of the pattern piece. 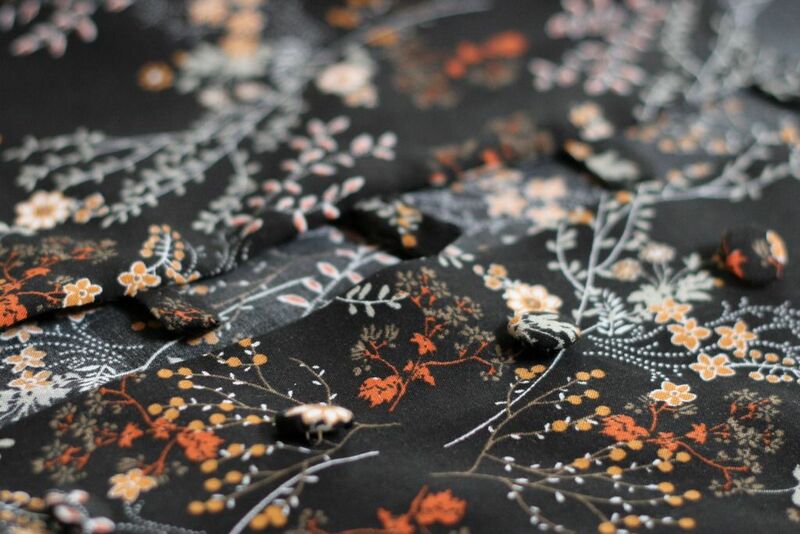 You’ll need to cut one in fabric, one in interfacing. You have two front pieces to cut out instead of one. 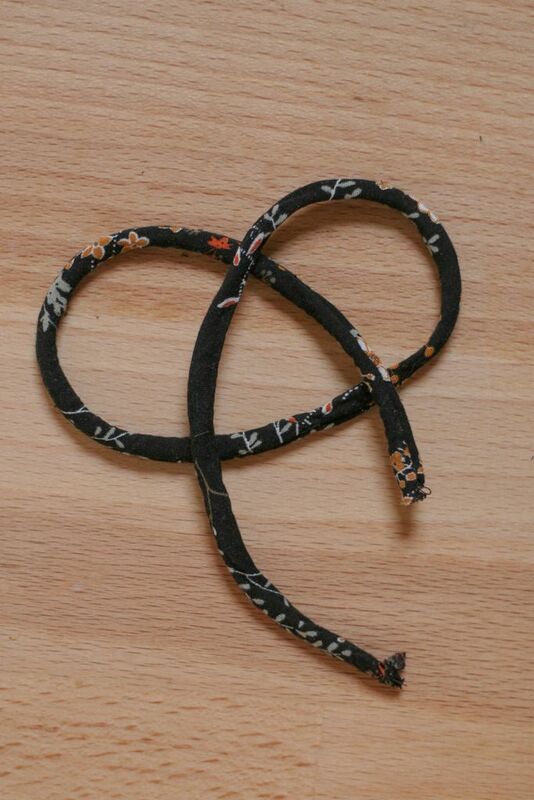 Cut them on a single layer of fabric, in opposite directions (with the CF towards each other, as you drafted them). Cut only one interfacing piece (Nr. 10). Cut the other pieces as indicated on the pattern pieces, including the new facing piece. Clip the folding lines on the bodice on top and bottom for easy reference when sewing. 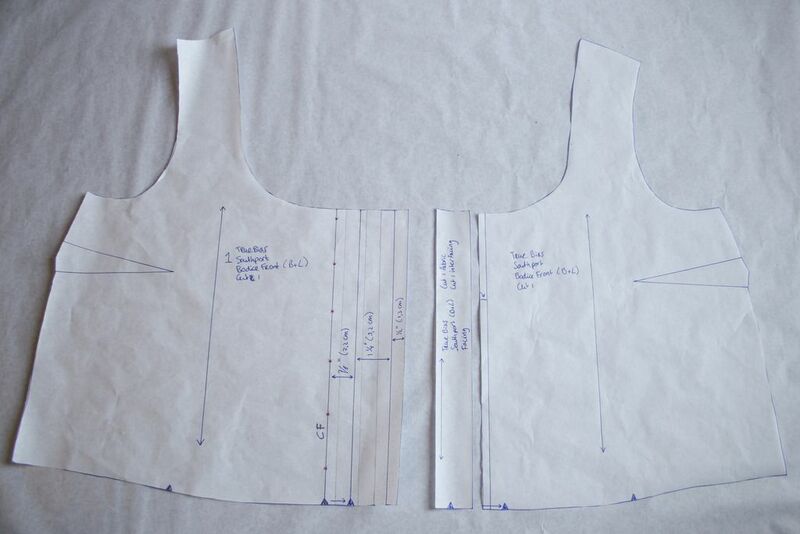 Step 2: Fuse one interfacing piece to the right front bodice, along the first fold line and 1/4” from the top. Fuse the other one to the new facing piece. Step 5a: On the left bodice front, fold along the 1rst foldline (closest to the edge) with wrong sides together and press. Stitch along the raw edge. Keeping this folded, fold again along the second fold line, this time with right sides together. 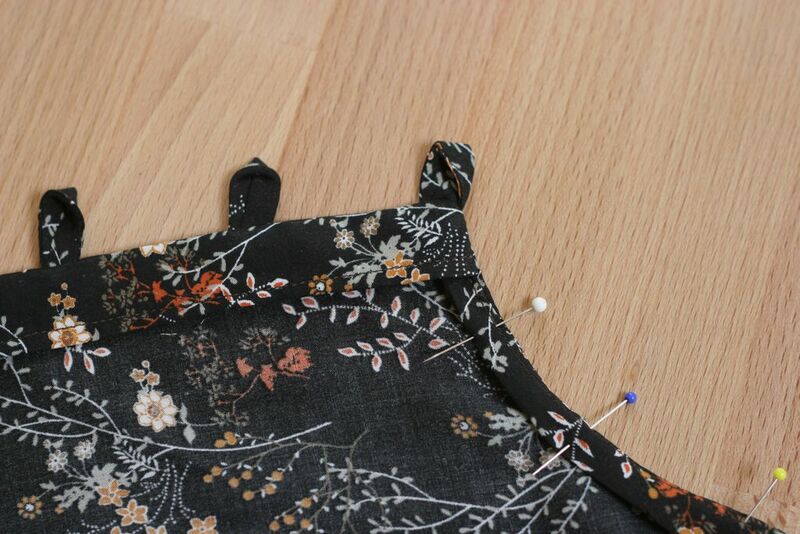 Press lightly with your finger and pin at the top (neckline) edge. Stitch Baste in place at a scant 1/4” from the top edge. 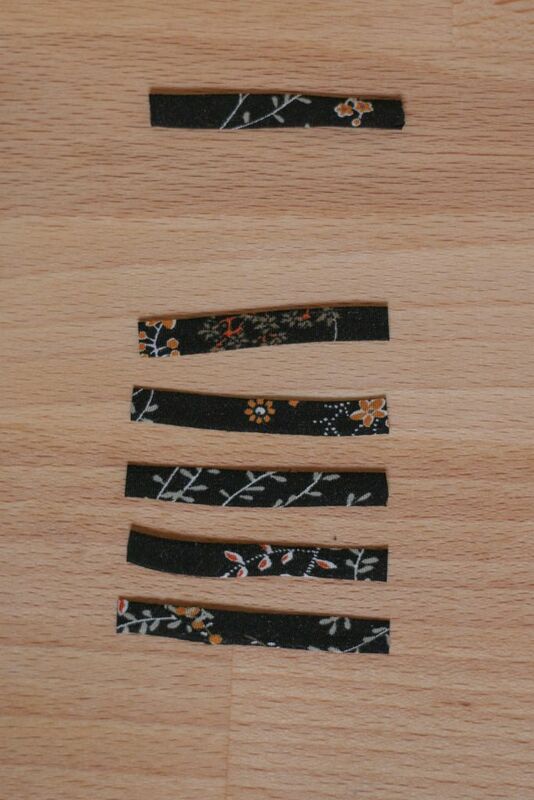 Step 5b: Make bias tape for your loops, 1” wide. You’ll need 2” for every loop, so in this case 12,5” for 6 buttons + one extra just in case, makes 15”. 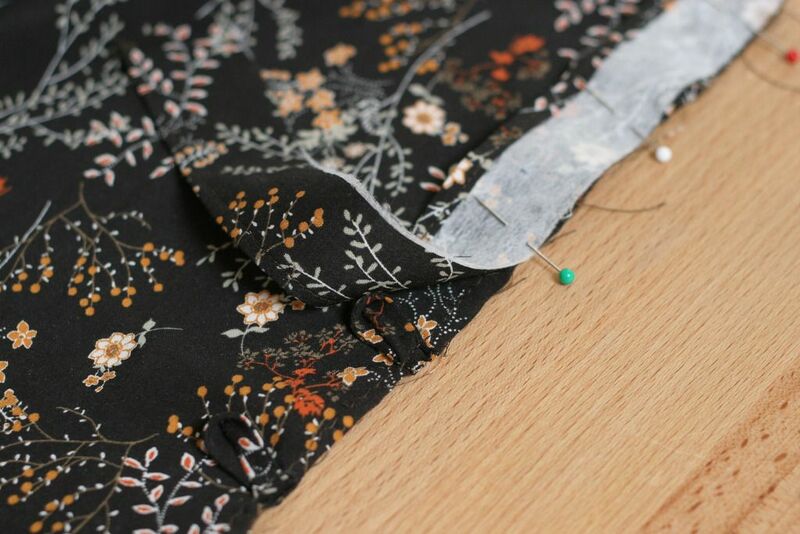 Step 5c: Fold the bias tape in half, right sides together. Sew at 1/4” from the edge. Trim to 1/8”. Turn inside out and press flat. Cut into 2” pieces and urn them into a loop with the seam on the outside. 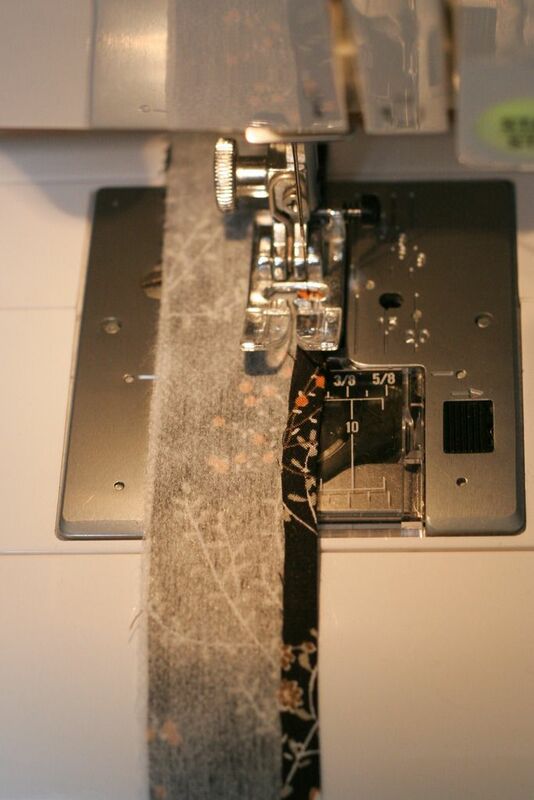 Step 5d: Finish the edge of the facing with a serger or by folding one side (the slightly longer one, facing toward the side seam) 1/4” in and stitching (as in example). Press. Step 5e: Baste the loops to the left front bodice, the raw ends flush with the bodice edge. Sandwich the loops between the front of the right bodice front and the new facing piece, right sides together. 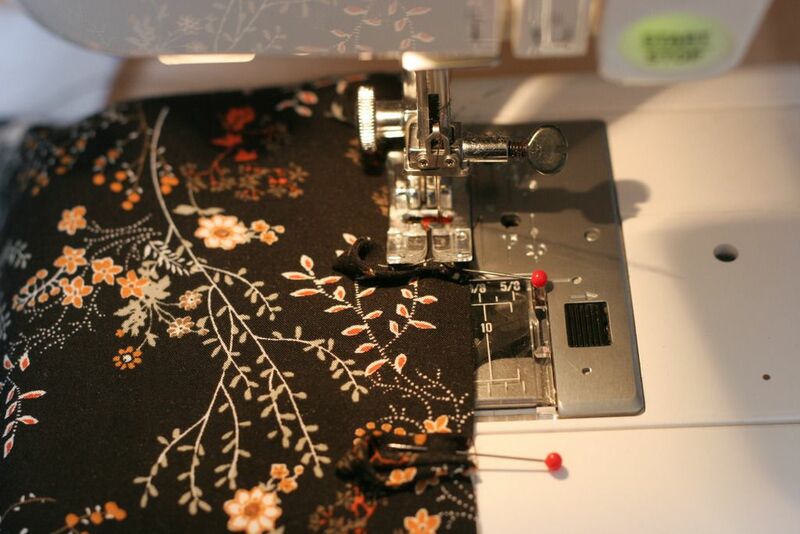 Sew at 1/4”. Take out the basting stitches. Don’t fold open yet, this will be done after attaching the bias tape. Baste at the top (neckline) edge. Step 8: As indicated, but don’t stitch the center front fold down. Baste the folded edge and the facing along the bottom on both sides of the bodice. Step 9: as indicated, but stitch the bias tape though to to the front edge. This will look better since there is no stitching line vertically along the front. 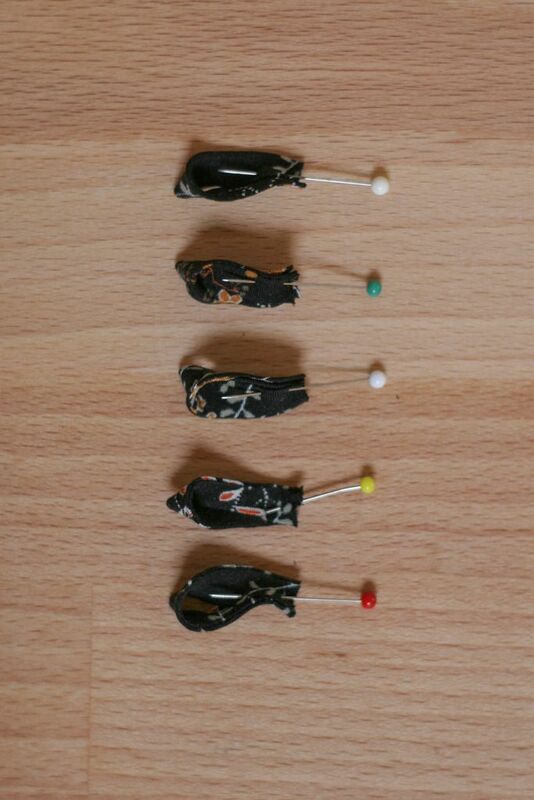 Step 14: Attach your buttons according to the markings on your pattern or button guide, at 7/8” (2,2 cm) from the edge. That’s it! Not necessarily less work, but it gives a different look and you won’t have to do buttonholes. If you have any questions, I’ll answer them in the comments. I can’t seem to view the pictures … Is it my computer? my fault. i tried a shortcut for uploading the photos and it didn’t work. it should be fixed now. thanks for letting me know. Thanks for this article. I would also like to convey that it can become hard when you find yourself in school and merely starting out to initiate a long credit ranking. There are many individuals who are just simply trying to survive and have a long or beneficial credit history are often a difficult factor to have. I can’t see the pictures either, on a couple devices. I’m not having trouble with images elsewhere on the site. Wow I really love this idea! Definitely something to try! I don’t mind making buttonholes, but WOW what a great alternative! Thanks for the tutorial Lisa! around to see what web hosts matches these expectations. I couldn’t make this dress even if it was a beginner! You used the machine wonderfully.